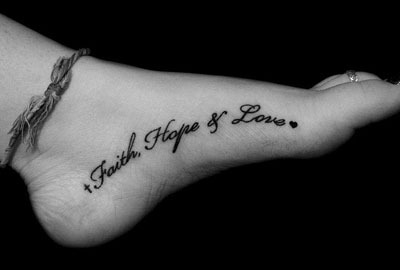 The cursive tattoo fonts are often used to emphasize a certain emotional link the person wants to show. It is a romantic struggle against the boundaries of modern society, a silent challenge to the community. A path doomed forbidden by conservative elderly generations offers a sweet taste of freedom. 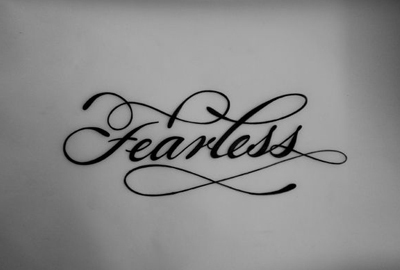 So, why exactly are the tattoo cursive fonts becoming increasingly popular among younger generation? They look neat and tidy. The cursive writings don’t change a person’s appearance to an extent where his personal traits are no longer recognizable beneath a heavy ’curtain’. 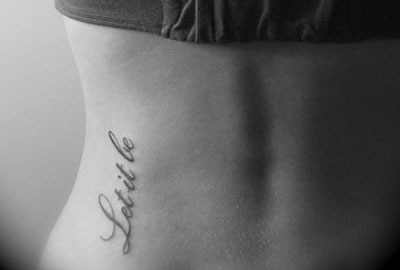 You can find popular cursive fonts for tattoos at our website. We have gathered them based on our deep knowledge of body art and vast experience accumulated over years. Our catalogues feature the most exciting solutions as well as unique examples of contemporary art. How do I use FontsTattoo service? Once everything is set download or print your image — you can see buttons for those actions on the screen. Don’t hesitate! 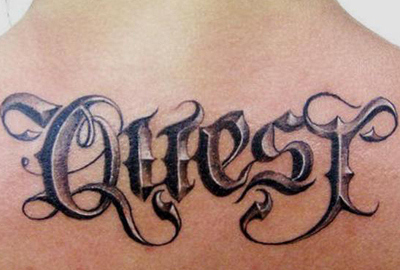 Explore the tattoo fonts cursive today and find your own solution today.